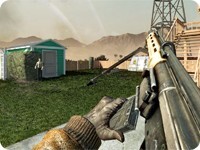 HK21 - Call of Duty: Black Ops Guide! The HK21 is a fully automatic light machine gun with moderate recoil, moderate rate of fire and a 30 round magazine. 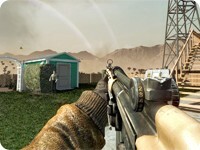 It is available at Level 2 to the player, as part of the LMG default class. The HK21 will kill in 3 shots at any range, or 2 if headshots are involved, and has medium recoil. This makes the HK21 extremely powerful at medium range. Long-range encounters can be dealt with by firing small bursts. However, pairing the HK21 with Extended mags and Scavenger Pro allows for an extremely effective tactic: Extended fire at long ranges coupled with the easily controllable recoil and the high power of the HK21 will allow the user to mow down enemies at chokepoints allowing for easy containment of the enemy when securing objectives. The HK21 is tied with the Stoner63 for the smallest capacity out of all the LMGs so the Extended Mags attachment is extremely useful, as it doubles the ammunition capacity to 60 rounds. 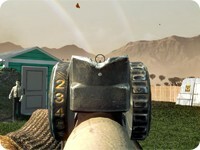 The iron sights, while clear and open, can be difficult to use for some. For this reason, the Red Dot Sight or Reflex Sight is recommended. Although the HK21 has very low movement speed, perks likeLightweight are not recommended. LMGs like the HK21 are better suited to large amounts of stationary fire, particularly when defending or supporting objectives. For this reason, Scavenger is recommended to keep supplied with ammo. Steady Aim benefits the HK21 as it improves its CQB capabilities. Sleight of Handcan also be very useful for this weapon, as it dramatically reduces the amount of time needed to reload, as well as improving ADS speed with the Pro version. Hardened or Warlordalong with Extended Mags and a sight attachment can be more useful than Sleight of Hand.